We’re the best laptop service center Chennai, Coimbatore, Trichy, Madurai, Bangalore. If you are having a problem with your laptop, don't get panic we're here to help. Welcome to Best Laptop Service Center in Chennai - GBS is a leading Laptop Service Providing Company Located in Chennai. We are providing best laptop/computer repair services since 1994 in this chennai (having 10 branches ), Company has well equipped, latest technology tools, Qualified, Experienced and Certified technicians who can Repair/Service any kind of Laptop Problems. 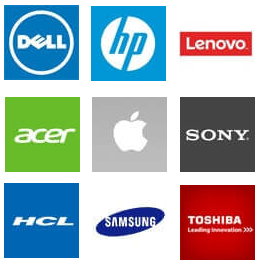 We deals with major brands like Dell, Apple, Lenovo, Acer, Toshiba, HP, Asus Laptops etc. We specialise in fixing any laptop problem, regardless of make or model, whether it is software or hardware related, with the shortest turnaround at very reasonable prices. Whether you need a virus removal to motherboard chip level service, Screen replacement, Keyboard repair and laptop spare parts upgrade services or any other fault, we will be able to fix them all. We are experts in broken laptop rework, liquid spillage, provide data recovery on dead hard drives and laptop motherboard BGA Chip Level Service. Our laptop services for businesses and home users throughout the chennai at reasonable prices and turnaround is faster than most of our competitors and our same day repair may have your problematic laptop up and running in hours, not days. Please call us now to get Instant, Free quote for your laptop repair. Whenever you need our laptop service support or laptop spare parts in chennai or near by areas - Further more info just make a call us 9841603330. Laptop Service GBS is a fully equipped laptop service centre which provides a wide range of services for top brands at professional quality with reasonable price. we are highly pleased to provide you with quality assurance of 100% guarantee and We can fix it at best price with timely service. Why choose GBS laptop Service Center ? Our Experts offer professional & Friendly Service, so you can contact us anytime. We provide doorstep pickup service, so you don't have to worry at all. Our engineers are experts at their job. We do give a guarantee on our repair services. We are leading BGA & chip level laptop services & Reworks in Chennai, We do chip level servicing for all model laptops. We are specialists in laptop screen replacement and broken laptop screen rework for all make and models of laptops in Chennai. Our well talented service technical person can solve your hard disk issues with high security of yours data. Here you can get genuine laptop adapter & battery at affordable cost with an excellent discount offers. Laptop Service @ GBS ™ have 24 years of experience in the field of Laptop service and repair solutions. Our Speciality is we offer ultimate service for all laptop brands & models and We serviced more than 100,000+ Laptops per annum. Laptop Services in Chennai are the best laptop service provider in all over Tamil Nadu to be authorized to support all major laptop brands for non-warranty repairs & service support. In Laptop Service @ GBS ™ always provide genuine and original spares for their customer's.. In Our Laptop Services Center you can get Free Estimation or Testing for Laptop Issues..
Our Friendly Support and our excellent service will satisfied our customer's expectations..
Get Support From Our Service Team..!! 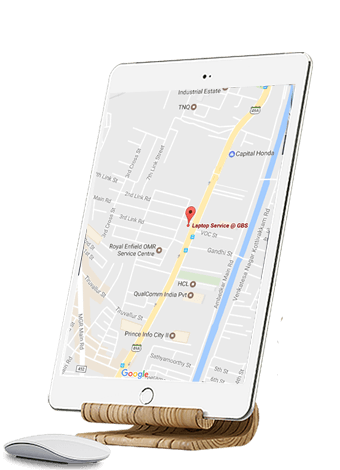 Get a Perfect & Professional Laptop Service & Repair near me Solution at best price In Laptop Service @ GBS in Chennai | Madurai | Coimbatore | Trichy | Bangalore. For more details contact technical & support team.